Fewer people have rowed across the Atlantic Ocean than have climbed Mount Everest. Adam Rackley is among them. 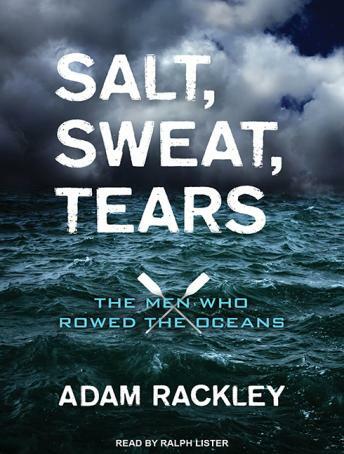 For seventy days, he and his rowing partner ate, slept, and rowed in a boat seven meters long and two meters wide, in one of the world's most extreme environments. This is his story of adventure, endurance, and self-discovery. They were following in the wake of pioneers. In 1896, a pair of Norwegian fisherman crossed the 2,500 miles in a wooden fishing dory-and their record stood for 114 years. John Fairfax, a smuggler, gambler, and shark hunter, was the first to complete the feat single-handedly in 1969. Others have followed; some have not survived the attempt. This is their story, too.